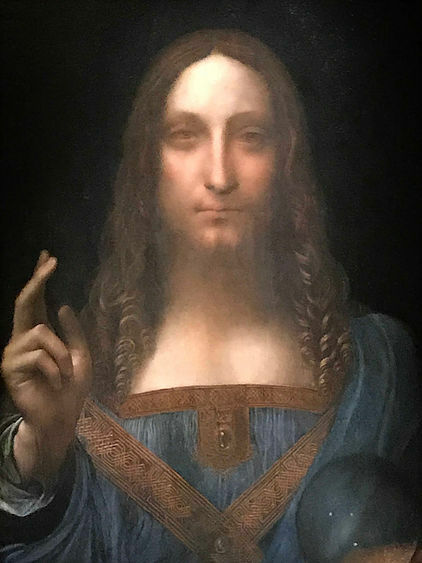 The Salvator Mundi a painting of Jesus Christ attributed to Leonardo da Vinci, sold in November of 2017 fetching $450.3 million, as the most expensive art work ever brought to auction. The true purchaser turned out to be a surrogate for Crown Prince Mohammed Bin Salman of Saudi Arabia - known to have a taste for pricey trophies, such as $500 million yachts and $300 French chateaus. Soon after the auction, the Louvre Abu Dhabi announced it had acquired the piece and would display the artwork as the emirate’s “gift to the world” so people far and wide could witness its beauty. The Salvador Mundi was also to be put on loan to the Louvre in Paris to mark the upcoming 500th anniversary of Leonardo’s death. After many subsequent inquiries since that trip, the staff at the Louvre Abu Dhabi is now saying privately that they have no knowledge of the painting’s whereabouts. So, where in the world is the Salvador Mundi? Perhaps only Crown Prince MBS knows for sure.